Download The Art of Seeing eBook for photography tips on how to shift into C-Mode (Creative Mode). There's more to photography than f-stops and Photoshop. Unfortunately, most of us are left to figure out the 'other half' of photography on our own. That's because most people think creativity is a talent, something that can't be taught. They're wrong. Creativity is a muscle and the Photographer's Eye is a skill we can all learn. 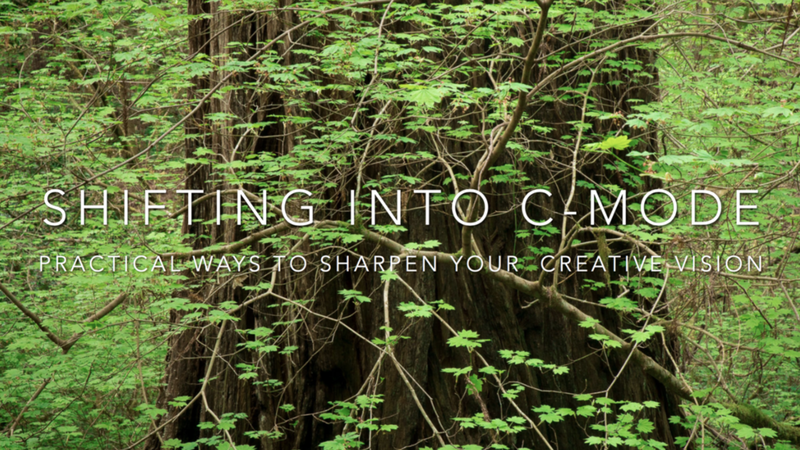 "Shifting Into C-Mode" contains a dozen of my favorite exercises and photography tips for sharpening your creative vision. Think of it as a workout plan for your right brain. Just like any workout plan, you still have to do the work to get the results but it's always helpful to have a roadmap to find the quickest route to your destination.